‘Europe Our House’ gives an opportunity to young scholars and university students to publish their academic papers and researches on the web page and the periodicals of the organization. 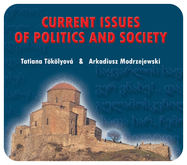 In May 2013, Europe Our House published the book "Current Problems of Politics" edited by the Polish and Slovakian scholars Arkadiusz Modrzejewski and Tatiana Tökölyová. The book gathers political papers on EU regulatory and legal system, migration and labor market, energy security of Europe, conflict of the Middle East and the role of the Catholic Church in political life and public perception. On March 15, 2013 Europe Our House and the Centre for East European Studies at the University of Warsaw hold a presentation of a book “Political Culture and Vision: Integrity vs Conscious Ties” by George GAMKRELIDZE. 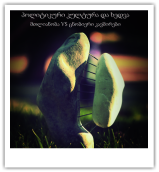 The book concerns political culture of Georgia, self-consciousness of society and fundamentals of democratic building. It discusses cases of past’s experience, as well as political and historical factors of European integration. The book includes research – “Your European Vision” which reflects public awareness and attitude towards the European integration. In November 2012, Europe Our House published its second book on the Current Issues of Politics and Society. The book was edited by the Slovakian and Polish Scholars Tatiana Tokoyova and Arkadiusz Modrzejewski. It consists of three chapters and gathers the articles by scholars from Poland, Slovakia and Georgia. 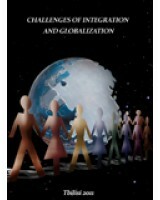 In April, 2011 Europe Our House published a book 'Challenges of Globalization and Integration'. There has been plenty of books and articles written about integration and globalization especially in English. However, these processes are characterized as being extremely dynamic. The researchers are eye-witnesses to a constantly changing reality and appearing new, often unexpected phenomena accompanying unification or even uniformisation of the modern world. Europe Our House © 2011-2012. Georgian Based Non-Profit Organization.